Presleys' Country Jubilee - Music and Hilarity! - USA Patriotism! Presleys' Country Jubilee - Music and Hilarity! Image and associated photos by USA Patriotism! The house lights go down, the stage lights come up, and the music begins as the stage curtains opens to very entertaining Presleys' Country Jubilee on a November 2018 night in Branson, Missouri during the city's annual Veterans Week, the largest tribute to military veterans in the USA. The smiles, applause, and laughs from the crowd increase by the minute, and nearly fifteen hundred tapping feet are keeping time to the music ... these nights are the culmination of a dream that was decades in the making. Nearly 50 years after they started, the Presleys have kept doing what they do best ... a one-of-a-kind mix of country, gospel, bluegrass and hilarious comedy! 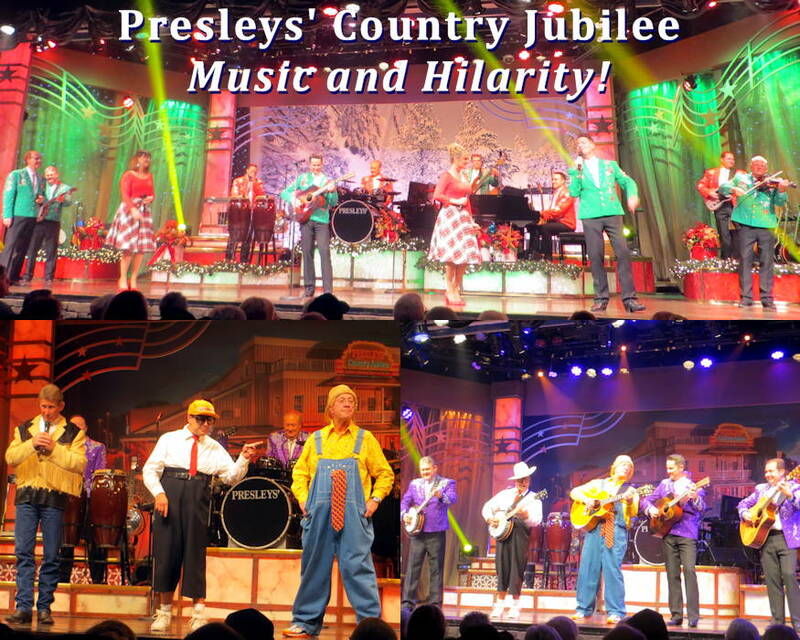 A must experience for everyone who visits Branson ... You can also enjoy the Presleys' Country Jubilee on RFD-TV.